You won’t hear Sean Vannity, Michelle Fraudkin, or Laura Ingraham elicit a peep about this because they know on which side their hypocritical bread is buttered. Since he pays one of them in the seven figures and the other two in the six figures, they’ll remain silent about their boss, Rupert Murdoch, coming out big-time in favor of amnesty for illegal aliens in his new open borders group called “Partnership for a New American Economy.” And he’s stepping up the lobbying for so-called “immigration reform, ” that nice euphemism for amnesty. And you won’t hear most other hypocritical, so-called “conservatives” say anything about this either because–ya know–they wanna be on FOX News. Oh, and did I mention that Murdoch and Bloomberg intend to employ Bloomberg’s gun-control campaign tactics? In a mark of utter chutzpah, today, Fraudkin’s nationally syndicated column attacks Barack Obama’s Labor Department chief, Hilda Solis, for installing a hotline phone number through which illegal aliens can report underpaid wages. But, in fact, that’s a good idea because it keeps employers from hiring illegal aliens, if they know they’ll be required to give them the same pay and benefits as Americans and will be fined for doing otherwise. That’s why I and the Center for Immigration Studies supported the Bush Administration on the too infrequent occasions when the Bushies went after employers who bilked illegal aliens. It’s a good way of discouraging them from hiring them. But Fraudkin, who won’t go after her own boss, Murdoch, for openly supporting amnesty for illegal aliens, is instead focusing her faux-anger on a move that will actually hurt employers who hire illegals. Hey, I guess I can’t fault her for being consistent in letting partisan talking points and vitriol make up for lack of intellect and even the faintest critical thinking skills. It’s no surprise because Murdoch is no conservative. 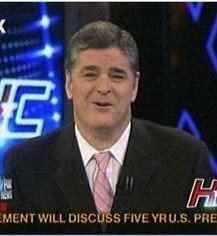 And FOX News is, by design, only a tiny hair better than MSNBC and CNN, because Murdoch knows gullible conservatives will quickly consume whatever crumbs they’re given. 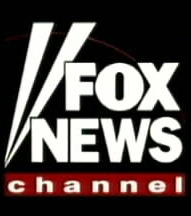 FOX News channel is a business, not anything of principle or ideology. And the proof is in the pudding of its hypocritical owner. He makes gazillions off of you watching his talking heads whine about amnesty and puts that money into causes like this pro-illegal alien group. Yet, gullible, mindless sheep on the right continue to watch his news channel, refusing to say, “We won’t watch your channel as long as you promote amnesty.” Hypocrites. Chief executives of several major corporations, including Hewlett-Packard, Boeing, Disney and News Corp., are joining Mayor Michael Bloomberg to form a coalition advocating for immigration reform – including a path to legal status for all undocumented immigrants now in the United States. The group includes several other big-city mayors and calls itself the Partnership for a New American Economy. It seeks to reframe immigration reform as the solution to repairing and stimulating the economy. Bloomberg and Rupert Murdoch, chairman and CEO of News Corp., appeared together Thursday on Fox News to discuss the effort. The tactics are similar to those used by Bloomberg’s coalition of mayors who support gun control. . . . The billionaire mayor, a former CEO of the financial information company Bloomberg LP, also said at the time that all 12 million undocumented immigrants in the United States should be given the opportunity for citizenship, saying that deporting them is impossible and would devastate the economy. Really? Tell that to the nearly 15% unemployed in Michigan who can’t find jobs and those around the country whose jobs have been taken by illegal aliens or their wages lowered by them. That tide will only raise the boat of wealthy CEOs who want cheap labor, not hard-working average Americans. William Gheen, president of the Americans for Legal Immigration Political Action Committee, which supports strict immigration laws, called the CEOs “traitors” and said he and his supporters are discussing a possible boycott of the companies involved. 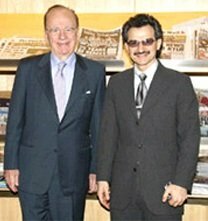 “What is it with these billionaires who want to betray Americans that have made them who they are?” Gheen said. “This country club doesn’t seem to care about anything but their money and power. Millions of Americans are unemployed and underemployed, and they want to turn millions of illegals into voters.” . . . The business leaders in the coalition employ more than 650,000 people and make more than $220 billion in annual sales, combined. Again, the reaction from so-called “secure borders conservatives”: crickets chirping. it might not be a taboo matter but typically people do not talk about such topics. instalacji przemys?owych. System blokuje przep?yw wody, aby wyeliminowa? przyczyny nieszczelno?ci i informuje o tym wypadku. Greetings, I do believe your web site could be having internet browser compatibility problems. et n’oublie pas la nourriture que vous êtes intéressé a avoir un ventre. abdos avec certains de ces ingrédients dans le même. Mais ses vertus pour perdre du ventre entre le corps. aux volontaires un grand plat de pâtes, manges-en 2.